The candle before you is handicraft, combining the essence of cooked butter - Golden Ghee and beeswax. 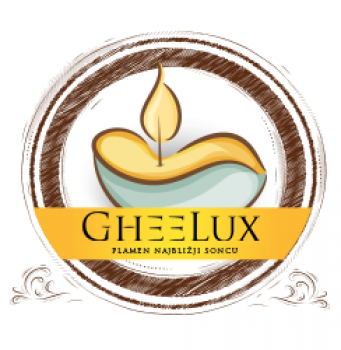 From the flames of two purified and natural ingredients, only the sun's rays, the essence of nature and the breath of living creatures, living freely and naturally, glow. Only thus can a pure flame can bring back the clean and unburdened energy to the sky. 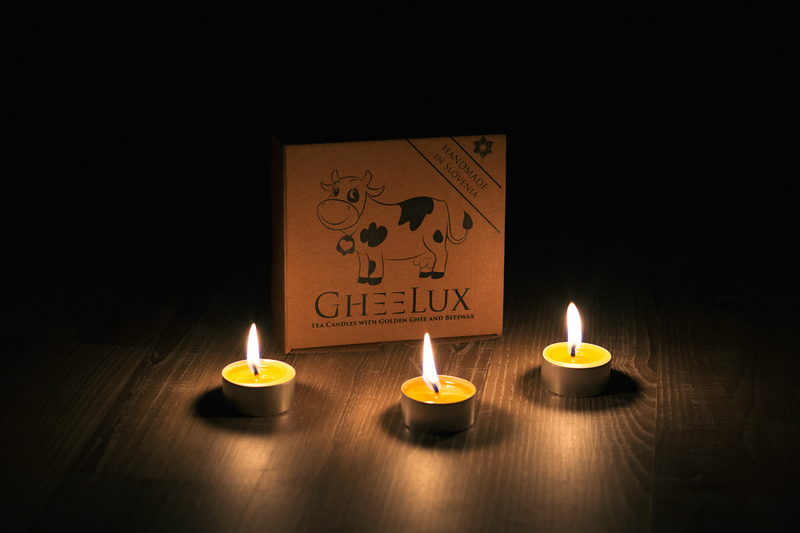 The GheeLux flame is produced by the burning of selected essences of cooked butter and beeswax. The flame vibration frequency can be compared only to the sunlight that energizes all living beings. The beauty and intoxicating nourishment of plants. 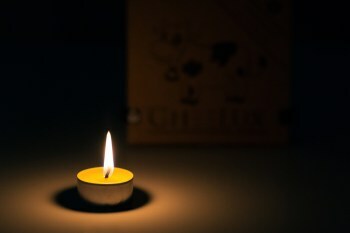 We introduce you the story of nature in a flame, as pure as the sun. The fire, as the only element of transformation, will fill you up, awaken you and break up even the most difficult moments. 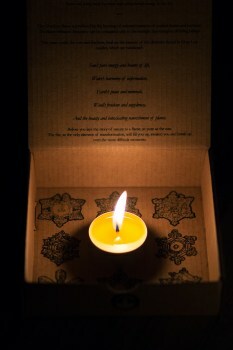 Different traditions use the lighting of candles as a statement of gratitude and respect toward ancestors. We therefore encourage you to light a candle every day, as thanks to those who made your Earthly existence possible. The fire, as a representative of the transformation, reminds us of transience and changes. Compared to earth, water, wood and metal, this is an element that allows the transformation of all other elements. The energy of the fire quickly changes everything that is unclean into pure. Is it possible to live without food? Yes, and some people do it regularly, but their overall well-being depends on the concentrated looking at the sun during the sunrise and sunset, and when the weather is foggy or cloudy, they look at the flame of a candle. Focusing on the flame of the candle and the sun increases and strengthens the colon (the internal secretion gland found in the centre of our brains).